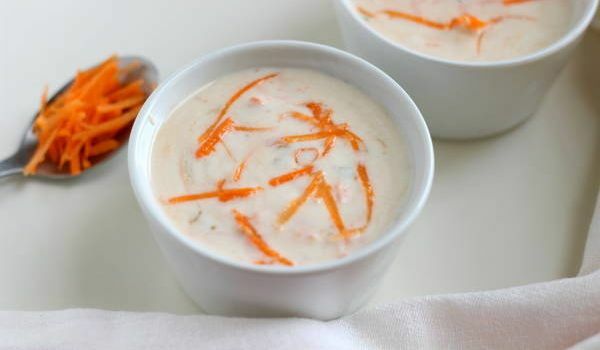 Carrot Onion Raita is a popular side dish, usually served with rice. Learn how to make/prepare Carrot Onion Raitha by following this easy recipe. Mix grated carrots, onions and curd together. When hot, add mustard seeds, curry leaves and green chilies. Add this mixture to the carrot-curd mixture. Carrot onion raita is ready to be serve. Serve with rice or pulao.